We like nothing more than a peek at these royal pets. Especially when you get a bookmark too. 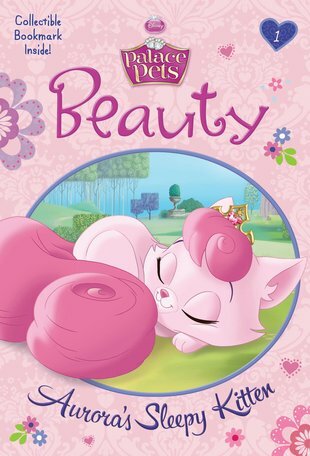 Cuddle up with Aurora’s snoozy pink kitty. (We think her favourite room in the palace must be the bedroom.) Her name is Beauty: it suits her perfectly. She’s adorable from her curled-up tail to the tips of her tiny pink paws. Here’s an entire chapter book all about her, with the cutest bookmark thrown in. Do you love the Palace Pets? Are you starting to read longer books on your own? Then this is definitely the one for you.